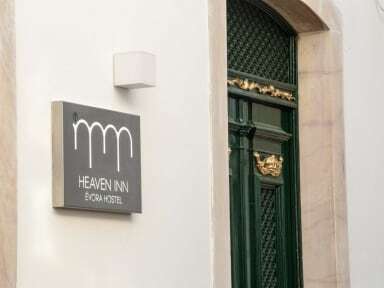 Heaven Inn is a new hostel in Évora. The elegance of this traditional building has been combined with the comfort of modernity.We offer the genuineness of a true Alentejo family. Take our challenge and get involved in cultural diversity, have fun with your friends on our terrace and discover the surroundings on our personalised tours.We challenge you to let yourself encircle by other cultures, to have a perfect time with your friends on our Terrace and to discover the surroundings. Our friendly and local staff will do everything to make you feel at home during your stay. 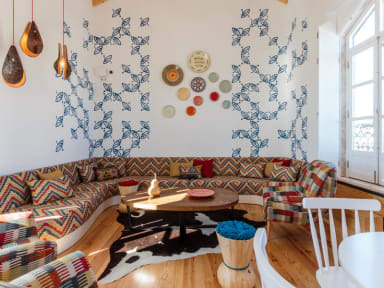 Located inside the medieval walls, halfway between Praça do Giraldo (Giraldo Square) and Capela dos Ossos (Chapel of Bones), Heaven Inn is the brand new Hostel of Évora. We add the comfort of modernity to the elegance of this traditional building. With 3 floors and 6 bedrooms,the rooms are fitted with air conditioning one living room, one kitchen and one big terrace, our house has to offer the genuine familiar feeling of 'uma família alentejana'. Breakfast per person per day 4€.